Once the sport of kings, this fun and easy activity a must for all ages. Following some expert tuition from one of our Grand National Archery Society instructors, the archery competition will begin. 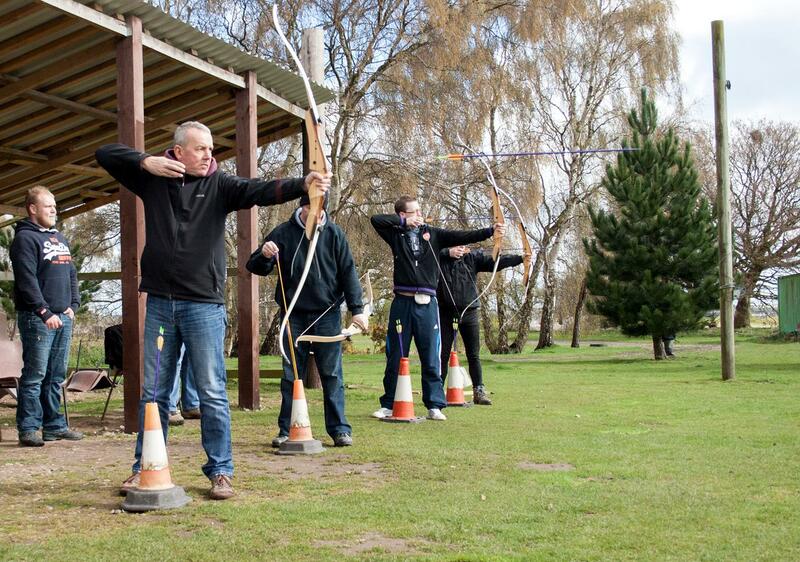 A brief safety and understanding on how to shoot correctly is followed by a competition to find the master archer. This activity is suitable for both adults and juniors, and is an ideal activity for groups large and small, especially in conjunction with any of our other activities. Individual and group sessions are available, and sessions last for around 60 minutes depending on the size of your group. We use re-curve bows with a variety of different draw weights to ensure you can shoot comfortably with no pressure. 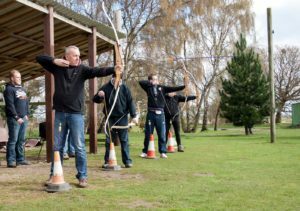 An archery session proves excellent fun for parties, corporate days, hen and stag do’s, or just to satisfy the urge to learn a new activity! This is a 1 hour activity including a full safety briefing. Minimum age 6 years, available daily subject to availability.